Bean losing his wallet and essential travel documents at a pay phone where he and Stepan attempt to contact Emil. 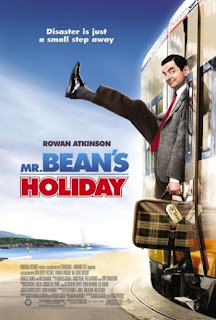 Heading in the direction of Cannes, Bean finds himself in the cast and disrupting the flow of a commercial being shot by the egotistical director Carson Clay. He and Stepan finally hitch a ride with the young and vivacious actress Sabine who is heading to Cannes to attend the premiere of Clay's film, in which she appears. After Bean sneaks into the showing, his camcorder images are destined to enliven the proceedings.